Pine trees, also known as Christmas trees, are considered towering giants that are commonly seen in evergreen forests throughout the northern hemisphere. While there are over thirty different species of pine trees, they are all characterized by fragrant green needles and pine cones. Being relatively hardy plants, pine trees can be effectively transplanted to new areas and even relocated from wild environments to residential gardens. This article will act as a guide showing a person how to transplant a pine tree successfully. How Can I Transplant A Pine Tree Effectively? The first step to effectively transplanting a pine tree is to choose the transplant site to be used. This is important as the site needs to be prepared before any transplanting can take place. It is recommended that the site chosen gains full sun exposure and is slightly elevated allowing for good drainage. The average pine tree will grow up to fifty feet tall; therefore, it is recommended that there is plenty of space for tree growth. The next step is to dig the hole for the transplanted pine tree. Before that, your gardening gloves should be necessary to protect your hands. Click here to know more. An effective hole should be approximately twice as wide as the pine tree's current root balls, as well as deep enough to allow the roots to fit comfortably without any breaking or bending. It is advised that the hole dug is larger than you assume it should be because large holes can be filled with dirt. A hole that is too small, however, will 'crowd' the tree making tree growth more challenging. It is important to prepare the soil when transplanting pine trees. The soil preparation requires you to combine garden dirt with compost to a 50/50 mixture. While pine trees do not typically require much nutrition in the soil, additional compost will help nourish the plant and help the tree recover from any stress felt during transplantation. After the correct preparation has been made, it is time to dig up the pine tree from the wild environment. If you are transplanting several trees, it is recommended that you complete each transplant separately and singularly beginning with this step. Attempting to transplant all trees together will endanger the plants and reduce any growth. When digging up the wild pine, it is recommended that you begin two feet from the tree trunk and move down into the soil toward the roots. Work outward and downward to locate the edges of the roots. Once the roots have been located, dig a circle around the plant forming a trench to reach underneath the ends of the tree's roots. The next step is to push a shovel into the soil at an angle allowing it to slide below the existing roots of the pine tree. This will allow you to lever the shovel and push up the tree from the soil. Continue this procedure at several places around the pine tree until the core root is loose and the tree is lifted out of the soil. While the roots are lifted from the soil, it is advised that one take as much soil as possible with the roots during this step. If you are not travelling with the wild pine tree, it is advised that you wrap the core root in a moist towel to keep the roots protected during transportation. This will ease the transition of the tree over long distances; however, it is not necessary if the transplantation is happening over a short distance. After moving the pine tree to its new site, it is time to plant the tree in the new location. Place the tree roots in the large hole and spread them carefully across the area, then fill the hole with the prepared planting soil. If, however, the tree's roots are encased in a soil ball it is necessary to place soil around the ball during planting. When filling the hole, you must pack the soil with a shovel or your hands to remove any air pockets in the hole. The final step when transplanting a pine tree is to water the tree or trees. A pine tree requires a large amount of water, but do not water the soil until it is very wet - only moist. For the tree to grow successfully, it is important that you maintain this level of moisture and regularly water the tree. What Mistakes Must Be Avoided When Transplanting Pine Trees? When transplanting a tree, it is important to remember that soil is a powerful resource and incorrect types of soil can influence the level of tree growth. If you are bringing soil to the new plant site, it is recommended that you sample the dirt beforehand. This sample will help test the soil for drainage and an appropriate soil PH level. 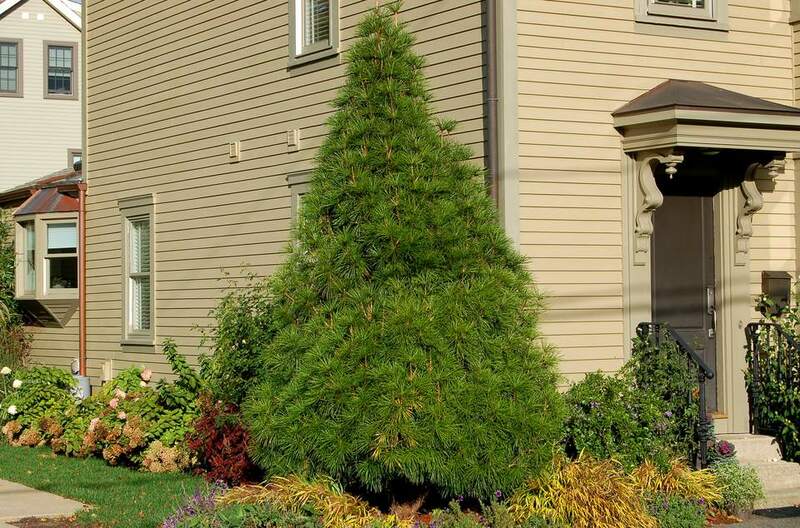 Believe it or not, the best time to transplant a pine tree is when the plant has become dormant. The dormant period is the season when energy is focused on root growth. Studies indicate that this would be during the fall period when temperatures are moderate and there is a moderate amount of rainfall. Some people will opt for early spring, but fall would be the ideal season for transplanting pine trees. However, no matter the occasion, you can find some helpful tools and items here for yourself or other gardeners. Contrary to popular belief, caring too much for a transplanted pine tree can cause more damage to the tree than good. Other than offering suitable watering and a layer of compost during transplanting, there is little that needs to be done when dealing with a pine tree. 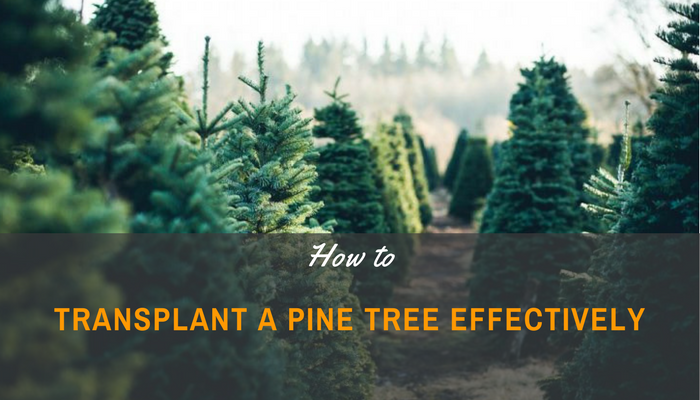 Some experts would not recommend immediate fertilizing of pine trees as the nitrogen could 'burn' the plant; however, this can be determined by performing a soil test before transplanting the tree. There is also a tip about how to grow plants like using led grow lights which provide good condition for some plants grown indoor. In summation, transplanting a pine tree can be a reasonably simple procedure if you follow the correct guidelines. Using the information above, you can transplant a pine tree effectively and avoid the more common mistakes.